Is there a call for dual-SIM phones in the UK? HTC appears to be squeezing its Desire brand for every last penny as rumours surface regarding a new handset sporting the name, the Desire V.
After the launch of the trio of HTC One series handsets we saw the Taiwanese firm reignite its Desire brand with the budget-focused Desire C.
It looks like the reinvented Desire range is about to grow, with Russian site Android Mobile Review claiming HTC has announced the Desire V – although it's unclear whether the news came direct from the manufacturer. According to the report the HTC Desire V will pack a 1GHz processor, 4-inch (480 x 800) display, Android 4.0 Ice Cream Sandwich, 512MB of RAM, 4GB of internal storage, 5MP camera with LED flash, microSD card slot, Beats Audio technology and space for two SIM cards. However the Desire V will only support HSPA for one SIM card, with the other resigned to the GSM network - this means you'll only be able to get mobile data through one card, with the other purely there for calls and texts. 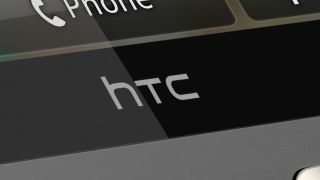 Leaked press images of the Desire V show it sporting a similar look to the HTC One S from the front. The shots also suggests the Desire V will have a fully removable back cover, which may see HTC return to the removable battery format which it avoided in the One series. Apparently the HTC Desire V will debut in Ukraine from July, costing around 3,800 grivnas (around £300), and will then roll out to other European countries, although it's unclear which markets will see it. TechRadar contacted HTC to find out more information on the Desire V and whether it would make it to UK shores, however it wasn't drawn into commenting: "HTC does not comment on rumour or speculation" - boo.